I am often asked how hypnosis works. Many people have heard of the celebrities who have used hypnosis, e.g., Tiger Woods, Julia Roberts, Albert Einstein, and Winston Churchill. And they struggle to see how their experiences match with images of mind-control from Hollywood films. My doctoral work was on the clinical applications of hypnosis and I have written up this case to give some insights into how it works and to dispel the myths from Hollywood. I have chosen this case because it is brief and I am confident that most of the success of the treatment came from the hypnotic aspect of our sessions rather than other elements of our interaction. We only met twice and I used hypnosis in the second session. Communication six months later revealed the treatment of Pascal’s flying phobia had been successful. 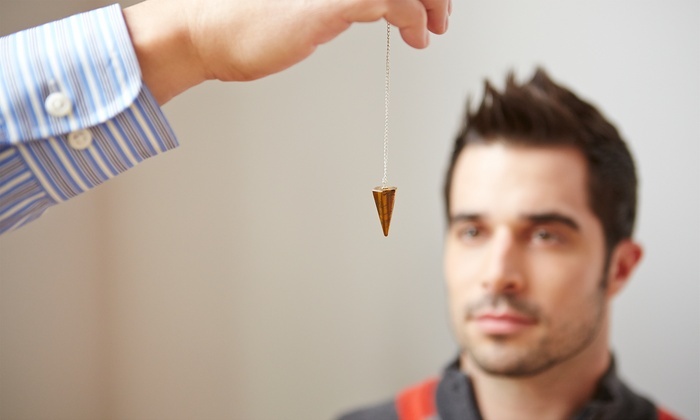 FYI I continue to practice clinical hypnotherapy and I now find it very useful in executive coaching, e.g., for creative explorations and peak-performance work. Pascal arrived at our session very distressed. He had wrestled with a phobia of flying for eight years. It had become so severe it was hurting his job, his passion for travel, and even his intimate relationship. While he had avoided planes where possible, two weeks ago was the first time he had canceled a vacation with his partner because he was too afraid to fly. Travel was one of the primary ways he bonded with his partner, and the stress he experienced around his phobia was becoming unmanageable. To my surprise, I discovered Pascal had been an airline steward. As a steward, he loved flying. He felt proud to be in his uniform; his good looks were frequently commented on and, because of them, he was frequently selected to work in First Class. His father had been in the Air Force, so continuing in a similar path was a source of bonding for both of them. While Pascal left the job for other opportunities, he always regarded it with affection. Planes were, at that time, a place of security and comfort. Seven years later, when Pascal was 32, two of his close friends died in an airplane accident. A year after that, another friend was in an airplane accident. When he was 37, Pascale experienced a particularly turbulent and scary intercontinental flight. His phobia, however, did not manifest until two years later when he relocated to Asia, and his “dream life” became a reality. He became increasingly successful in his work, he fell in love, his partner and he made plans to adopt a child, and he started to be able to provide financially for his parents – a caretaking role he cherished. his parents would suffer terribly. In our second session I guided Pascal in using four very brief hypnotic exercises. To keep this article short, I have described two. Once in a state of hypnotic trance, I asked Pascal to imagine that he was back to the age of 25, when he was an airline steward. Knowing he enjoyed taking care of others, I kept the focus of the exercise on his helping a mildly anxious woman flying in First Class who greatly appreciated his attention and warmth. I choose a woman to create more psychological distance from Pascale, a man, and First Class, because he felt more comfortable there. After the trance, Pascale described vividly experiencing the plane: it’s smells, vibrations, and sounds. He also expressed concern that he was not “fully under” hypnosis because he simultaneously was aware of being in a room with me. After explaining that many people have the same concern about not being “under”, and that doesn’t impact the effectiveness of hypnosis, he was comfortable continuing. To give Pascal as much sense of control as possible, I asked him to enter trance on his own, using the techniques I had used with him earlier. Once in, he signaled to me he was ready for me to guide the remainder of the experience. Seeing that Pascale’s breathing was calm, I increased the anxiety of the imagery by describing increasing turbulence and the older man becoming afraid again. I described to Pascale how he engaged the man, explained that turbulence was normal, and might even put a hand on his to calm him if that felt appropriate. The man grew comfortable and by the end of the flight “knew from his excitement to fly again” he was going to look forward to his next flight because he would always have the memory of that handsome, kind, 25-year-old professional airline steward calming him. Before asking him to leave his trance, I encourage Pascale to express his gratitude to the people he cared about who were okay with his flying. I specifically named his partner, his mother and mentioned that perhaps even his friends who were no longer alive might have wanted him to be free to enjoy the benefits of flying. After the trance experiences, Pascale teared up both because of his confidence that he would be able to fly again and because has a sense of deep appreciation for the kindness he felt from his 25-year-old persona. I was excited for him. I felt that he had made a real breakthrough, but I was keen to see if what we had done in my office would translate into a cure. At six-month follow-up, Pascale reported full remission of his phobia, and he was looking forward to becoming a father. Despite having worked with hypnosis for 26 years, sometimes the speed at which it can work amazes me.